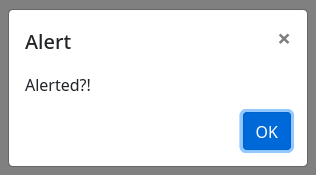 This package replaces default alert & confirm dialogs from Dart's Window class and adds missing prompt & custom modal dialogs. 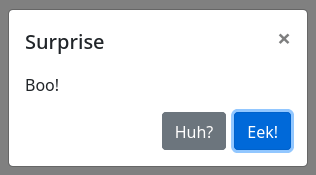 Default system dialogs called by that prompts are superseded by modern modal design. Usage is almost the same as set in the Dart's Window class and completely the same as described in the WHATWG HTML Standard. For each dialog there is just one file to import only the dialog you really need. There is also one file to import all four dialogs at once if you want to use them all. 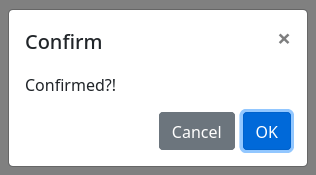 Adds fully customizable modal dialog. Do you need to use them all at once? Try to import dialog.dart file only! Please fill in an issue or a pull request on project's GitHub page. 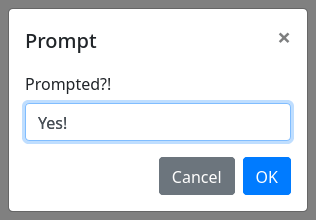 Simple shorthand for importing all four dialogs at once.